Whether you are outside looking for birds, hunting, or enjoying nature, a pair out of our list of the best binoculars will always be your best friend. With the ability to magnify anything that is far away and give you a clear view, it is nothing like what your smartphone camera or your camera can do. Depending on the type of activity you are doing, there are different types of binoculars that you can get. The term binocular means two optics, so you usually use binoculars when looking at an object with 3D detail, such as a bird or mountain. However, when you are hunting, you don’t quite need this detail, as your primary objective is to get better accuracy, which is why you use a specific type of binoculars for hunting. These are the type of details that you must know when looking for the best binocular for your activities. In this top binocular buying guide, we’ve concluded EVERYTHING you need to know about binoculars (what to look for, the best brands, and of course, a list of the best binoculars, with binocular reviews included!). Without further adieu, let’s jump right into it! Before we look at the binoculars in the binocular reviews section it is important to know what type of binoculars you are searching for. There are a ton of different types of binoculars, all of which are designed for a specific need. 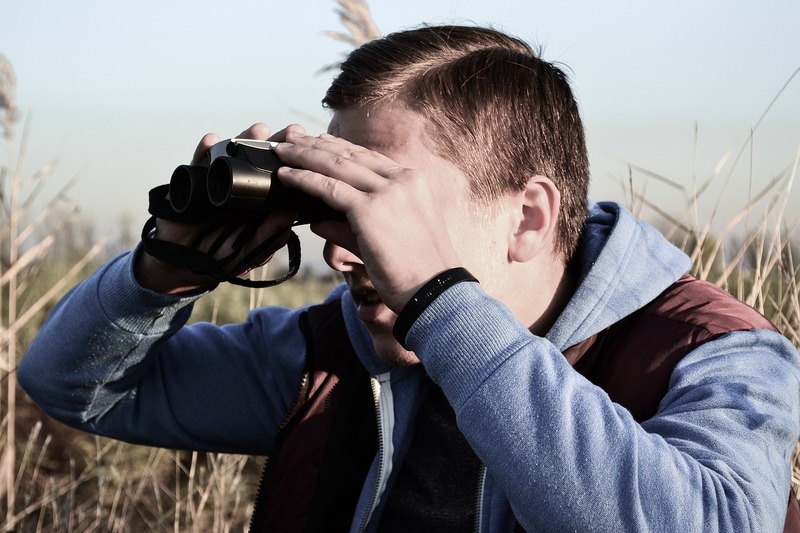 Are you going out to hunt, then a pair of hunting binoculars might be for you. That pair, however, doesn’t do as good of a job for your kid, then maybe the kids’ binoculars is the right fit. If you go to the binocular section of our site you’ll find all the different types so that you easily can find the right type for you and your needs! This is one of the key components that you should keep an eye out for when choosing your binoculars because some products may have some key features that you may need for your specific activity, while others may have other features for a different specific activity that you won’t need. If you don’t pay attention to the features that your binoculars come with, then you may be paying for one that is meant for hunting, while you may want a simple binocular to look at birds. There are different types with features that are built into each one, so make sure to choose the right one, or else you will won’t have a great experience with your purchase. The quality of your binoculars is one of the most important things in making sure your money is well spent. If your product breaks within a couple days of usage, then your whole trip may be ruined and the money you spent will be wasted as well. We highly recommend that you read our binocular reviews, so that you can be sure that the one you are purchasing is up to standards and the quality doesn’t drop. This is so that you can use your binoculars for a long period of time, and the magnification and the features stay consistent. The price of your binoculars is also very important, as the amount you spend to pay for your binoculars will change your experience. Especially with binoculars, there is a huge price range, with the cheap ones starting at very low prices with the high-end one’s going for extremely high prices. The cheap ones are usually made from plastic and don’t provide much magnification or depth, but with expensive models, they are usually made from high-quality materials such as carbon fiber and comes with an ergonomic shape. This factor depends mostly on the type of activity you are doing, so if you are going to be bird watching, you may want something that has good tracking ability with the magnification being able to be scaled at a fast speed, while if you are going to be hunting and you want precision, you may want magnification that can be adjusted and be moved while keeping the resolution precise at the same time. High magnification may not always mean that they are the top-notch binoculars, so we recommend that you keep in mind the activity you will be performing with these binoculars while choosing so that you can choose the right magnification without going overboard and paying a lot more than you have to. We all know Nikon for their astounding cameras and the quality pictures that are produced out of these cameras, so when it comes to binoculars, we know that the viewing quality will be crisp clear. These are simply the best binoculars for bowhunting. Nikon Binoculars come attached with premium ED glass to allow for a sharper view of anything you view through your binoculars. Another perk of using binoculars that was made by a premium camera company is the weight of the product. By taking the technology of lightweight design of the cameras and applying it to this binocular, you now have access to the Monarch 5 which is lighter than most of the binoculars available today. Along with the goodness mentioned above, there are also several features that we loved about this product. One was the multicoated eco-glass lens that is used on the magnifying glass lens. This eco-glass lens allows the full spectrum of light to pass through, allowing you to get a view of your object using all the colors of the light spectrum, giving you a higher quality image that is crisp and solid. Another feature that is essential to binoculars that are built for hunting is the field of view of the lens and the Nikon 7577 Monarch provides just that, by allowing you to view a total of 228 feet FOV which is high enough for your hunting needs. Despite being an amazing product so far, there are a few more things to be amazed at, such as the quality of these binoculars. The entire Nikon Monarch is waterproof, letting you use it wherever you are, even if you are underwater while hunting for the marine animal. If you are using the product underwater, you’ll need decent durability to go along with it, which is why this product comes with a rubber armored body to allow high durability and to ensure that the binoculars will last through your entire trip, whether you are trekking through thick leaves or crawling through wet mud. These binoculars have to be the best binoculars for deer hunting primarily because of its size and magnification. The magnification of this product is x10 with the size being 10×42. This is the perfect size and magnification for deer hunting or hunting in general because you will be able to hunt out the perfect deer from far away without startling it. With this magnification, you’ll even be able to see the hair on the deer’s neck from as far as 200 yards away! Everything sounds amazing, nothing can go wrong, right? That is true if you set your budget large enough for this product, as this product is one of the most expensive hunting binoculars that you can get. There are a few reasons as to why this product is this expensive. One is because of the brand name, as Nikon is a premium brand after all, with the second being that the product is great and has everything that you’ll ever need, including quality, features, and the perfect weight and size. If you can fit your budget to purchase this product, go for it without hesitation, as it will be the best purchase you will ever make, but if you can’t, there are still products that are cheaper that we have reviewed below, so we recommend that you go for those instead if you can’t afford this one with your budget. Bushnell is a brand that is known to make high quality binoculars that have plenty of features to make any hunter satisfied, especially with this product. With the ability to last through rain, fog, steam, while providing a wide range of view, you can finally see why people bring quality binocular with them on their hunting trips instead of bring cheap ones instead. The Bushnell Legend Ultra HD comes with several features that we love that will give an advantage to anyone who will use these binoculars for hunting. The first feature that we liked was the WB coating. This coating is a type of anti-reflection coating that helps allow the maximum amount of light that can enter through the lens and let you have the best brightness possible for the best possible view as well as allow you to see with all the colors of the spectrum instead of being limited to a set of colors. Another feature that we loved was the ED glass that was also present in the Nikon model that was reviewed above. This glass removes any color fringing that may be present, so that even in low-lighting, you can see all the tiny details that you wouldn’t be able to make our normally under dim light. Just like the features, the quality of this product is just as amazing. As the product is made from high quality materials and coated with premium rubber, you will be able to take this binocular hunting without fearing that it will come back scratched and broken and unable to use for your next trip. As this product was made to use for a long time, you’ll be able to use it for all your trips and not just one. To show how much this brand supports the quality of their product, they also provide a lifetime guarantee on their product, so if it ever breaks or stops working due to an accident, then you can get it replaced for free of charge without being asked any questions at all. 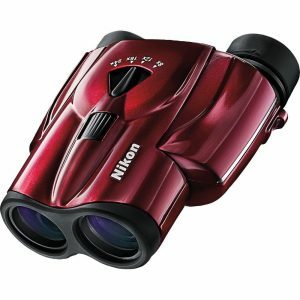 Just like the Nikon binoculars, this product is also 10×42 size and has a x10 magnification. This will let you hunt without being noticed, while also being accurate and taking note of the distance that your bullet will have to travel to confirm your kill. This magnification will also allow you to view mountains or birds while traveling, although its features were primarily meant for hunting. Usually, high magnification means lower FOV, but with this product you can still have a wide FOV without compromising on the magnification, so that you won’t lose your target if it happens to start moving toward a direction that you may not be focused on. Although this product isn’t as bad, it is still quite expensive like the Nikon binoculars. However, this product is one of the most affordable and best binoculars for hunting due to the features, quality, and durability shown above. When it comes to pricing of hunting binoculars, this is the absolute lowest that you can go if you want to taste the feeling of high quality texture on the product and if you want the product to last a long period. If you have the budget, go for this product, but if you don’t, then you still have the last product below that you can choose. However, we recommend that you try and maximize your budget as much as possible, as the more you spend, the better quality you can get and the longer your binoculars will last. If you are on a tight budget and you are looking for an affordable pair of binoculars, then this is the product that you have been waiting for. Although not as high quality as the expensive models above, this product still has plenty of features to keep your hunting on point and to keep you hunting with accuracy, even in low light conditions and even with long hunting sessions. Even if the quality may be lower, the features of this product make up for the loss of the quality along with the affordable price of the product. Some of the features that we love about this product is the complete waterproof design of this product. While some other binoculars may say that they are waterproof, if you happen to accidentally drop them it inside a river while hunting, they will most likely break because if a pair of binoculars aren’t made to be waterproof, water will get in through the cracks and mess up the magnification. However, with this product, you will get full water protection, as the product was built for it. Another feature that we love is the weight and ergonomic design of the product. While being lightweight, the product is also ergonomically designed, so that you can hold the binoculars for a long period without feeling fatigue on your arms or hands. As we stated before, the quality of this product can’t match to those of the expensive models. However, when compared to the ones around the price range of this product, the Vanguard Spirit is an absolute beast. It even has a lifetime guarantee that comes with the product, since the brand is so confident about the quality that if it happens to break within the lifetime of the product, you will get a replacement free of charge. From our experience, scratches are rare and even if it happens, it is usually light and don’t show up unless it is brought up to the light. Overall, the quality of this product exceeds the quality of others around the same price range, which is why we recommend this product over others in this price range. 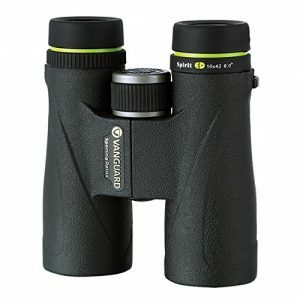 This product is a 10×42 which means that it is a x10, 42mm sized binocular. This will let you have a precise view of your target without having to go up close and scare it away. This size is also decent when it comes to other activities as well, so if you want to purchase a pair of binoculars to use with other activities, it is an excellent fit. The viewing angle of this magnification is usually tight, but with this product, the viewing angle is decent and will let you track moving targets at high magnification easily as well. Although not the absolute best binoculars, this product is one of the best budget binoculars that you can choose. This product is also known for its consistent viewing quality as well as the high-quality materials that went into building the binoculars. So even though the product itself is cheap and affordable, it can last quite a long time and will stay just like new, if you treat it well and use it as intended. There are quite a few features that come with this product that is mind-blowing since the product itself is so affordable, but one feature that we loved was the fold-down eyecups. These eye cups help prevent your sunglasses or glasses from touching the binoculars to prevent scratching on your lenses. Although this feature is quite common in more expensive models, it is rarely seen in this price range, which is why we loved this feature in this product. Another feature that is included with this product is the InstaFocus lever. Often, having smooth feedback and adjusting the magnification is a difficult thing to do. However, with the InstaFocus lever, this becomes a lot easier and because of the tension of this lever, changing the magnification becomes an easy task. The quality of a product depends greatly on price, but with this model, the quality of the binoculars greatly exceeds the price. The material that was used to build this product is used in higher tier models and is known to last a long time and live through scratches and drops. The glass that is used in magnification is also not cheap glass, but quality ones that will also live through many scratches and won’t break easily. If you are the type of person that loves quality over anything else and is okay with spending a bit more to get better quality, then we highly recommend that you go for one of the other products, as this product lacks a bit in quality in terms of weight, as in exchange for longer durability, it is a lot heavier than the other models that are both light and durable. The price of this product is the glory and key component of this product. By being one of the most affordable binoculars available today, as well as being one of the best in terms of quality and features, it is definitely a steal for the price you are paying for it. Yes, there are some kinks throughout the product, but the pros of this product outweigh them, such as the durability of the product, as well as the price. As we stated before, we recommend that you for the models that cost a bit more than this product that we review on this list if you have the budget for them, as they will last a lot longer and will be a lot better for the long term. However, if you are on a tight budget and this product is just on the edge, then this one is the best that you can get in our opinion, so instead of any other budget binoculars, get the Bushnell Falcon 133410. If you max the magnification on these binoculars, then you can expect to get x7 magnification. Compared to the other two products that we have reviewed below, this is lower. However, in this price range, x7 magnification is hard to see, as this is quite high in terms of magnification. This makes this product perfect for when you are watching arena games such as baseball or football from a distance, or bird watching, as the magnification is strong enough for you to see things that are quite far away, up close. Although this product isn’t particularly great in terms of weight, it still is durable and affordable, which makes it a great buy. 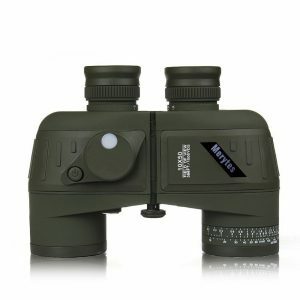 If you are going to use the magnification on these binoculars for the activities we mentioned above, then this product will be perfect for your needs, but if you are still looking for a higher quality product that is lighter and may have a bit more uses and features, then check out the other products below. When describing this product, three words come to mind right away. Clear images, portable design, and ergonomic grip. 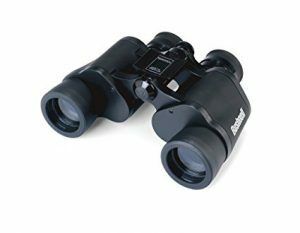 These three main components of these binoculars make this product great to own and use, whether you are watching a concert, a sports game, or even bird watching! The Polaris Optics Spectator comes with x8 magnification, so even if you happen to get the far seats that make it hard for you to see the players in an arena or in a concert, you can simply take the compact binoculars out and enjoy the action, as if it was right in front of you with the clear view. Polaris is also known for being one of the best binocular brands out there and is well known for its lightweight and ergonomic design, clear view, and magnification, so if you have tried out a similar product of Polaris, then you can expect the same if not better quality as your last model. The features of this product are just as astounding as the experience you’ll get from using it. The one feature that we love the most about this product is the view angle. With most binoculars, you’ll have a limited view, making it hard for you to find the person or animal you want to look closely at. However, you get a wider angle with this product which makes it a lot easier for you to see the surroundings of whatever you are trying to find, so that you can pinpoint the location through observation, rather than guessing which happens often with tight views. Another feature that we know you will love is the ergonomic design and grip of this product. The ergonomic design and grip will let you hold the lightweight binocular a lot easier, allowing you to constantly keep your eyes on the action for a long duration of time without feeling fatigue on your arms or hands. The quality of this product is worth the price that you pay for it. Along with the incredible features that this product comes with, the material that is used to create this product makes the product almost scratch proof and the binoculars also come with eyepieces and protective covers to protect your product from getting scratched on the inside as well. Along with this, if you keep your binoculars inside the mesh case that this product comes with, then there will be almost no chance that your product will break or get scratches if you take good care of it. The price of this product is also not that expensive as well, considering all the bonuses and accessories that these binoculars come with. 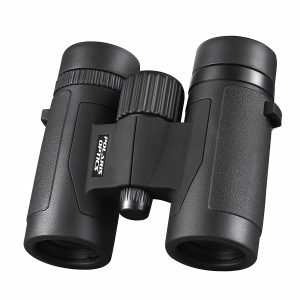 The weight of this product is also quite light making it a good choice if you like binoculars that are light, but are durable, as this product fits that criteria perfectly. Having a product be light and durable at the same time is hard, just like the product reviewed before this one, so if you skipped that product for this reason, then you don’t want to skip this one! 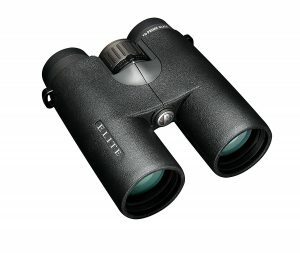 This product is one of the best binoculars that we have seen so far in terms of value per dollar you spend, so if you are looking for a product that is decently priced and is high quality and comes with features that you know you will love, then we highly recommend that you purchase these binoculars. Simply put, the best tactical binoculars that you can get. When binoculars are defined as tactical, we usually think about durability and the ability to be waterproof, but this product is so much more. With tons of other features that make this product the top binoculars, there is no reason that you should get any other tactical binoculars except this one. With a magnification of x10, you’ll be able to even spot the smallest animals and birds from far away and find your targets when hunting as well. You can even get the worst seats at a sports arena or at a concert and still feel like you are at the front of the stage with these military optics binoculars. When it comes to features, there is just so many to list. However, the features that we loved the most were the impact resistance, night vision capabilities, and reticle. Whether you drop these binoculars off a cliff or simply from your hands to the floor, it will stay intact for you to use for a long period. Because of this durability, the weight is a bit on the heavier side, but on the good side of that, you get durability that can match a tank in terms of binoculars. This product doesn’t have the night vision that you expect like the ones you see in the movies, but it still contains a form of night vision that helps you see in low brightness through special lenses and technology. Lastly, the reticle is another one of our most favorite features to this tactical binocular, as it helps give you an indication of how far away your target is based on the indications on the reticle while you are hunting. The one thing that isn’t too great about this product is the price. In terms of tactical binoculars in general, this product is extremely well priced and should be well affordable if you compare the price of this product with others in the same category. However, if you compare this product to the ones in this list, it is the most expensive and that is because of the durability and the number of features that this product comes in. If you want a decent tactical binocular, this product is one of the most affordable ones you’ll be able to find, as similar ones cost a lot more. If you care a lot more about quality and durability over the cost, we highly recommend that you get this product over the others because it will last a long time and survive through fatal drops. Giving you the satisfaction of every dollar you spend on buying these binoculars from Bushnell, you will even agree to the fact that the level of clarity offered by Bushnell Trophy Xtreme binoculars cannot be found in any other binoculars available in the market in present day. Therefore, with the amount of clarity enabled by these binoculars while observing through it, you can easily and very lividly surf through the beauties of a large variety of animals, plants flowers, birds and many other sceneries present in nature. And the thing which makes these binoculars one of the best binoculars is that you can do these things with the accuracy and precision level equivalent to that of a soldier! There are some very useful features encased in this product by Bushnell, the first of them all is the ability to remain protected and undamaged from different conditions such as fog, high temperatures, and many more. The reason behind this feature is the rugged and durable armor plate which comprises of fully multi-coated lenses in an enclosure which avoids any sort of penetration by the above mentioned environmental conditions. The lens covers act as an additional level of mechanical protection when it is in locked position. Another key factor responsible for these binoculars to be one of the top quality and highly rated products on the internet is the design of these binoculars. Special attention has been given to tune minute details while designing the product, because of which these binoculars allow you to handle them easily while adventuring around in the jungle, the mountains or the rivers! Yes, that is true! The ergonomics of these binoculars give the overall product an easy handling even under not so comfortable situations. On the internet, there are a lot of products which boasts of providing you comfort and easy fit as per the eyes and face, but in reality, they fall short of the promises. But in the case of Bushnell Trophy Xtreme binoculars, this feature is guaranteed for sure by the manufacturers, with the three-step eyecup adjustment feature. With such level of adjustment of lenses as per our eyes, these binoculars offer you the benefit of extreme eye comfort and fitting. Now, one of the most common thought process of most people these days is that anything they buy for themselves, they want it to serve multiple purposes and in various applications. Keeping this thinking in minds while designing the binoculars, Bushnell assures you that you can use these binoculars in many other applications, such as watching horse racing games from the stands or watching your favorite team play football in the ground. With Bushnell Trophy Xtreme binoculars, you will get a feeling as if the match is going in front of your eyes, with you as the center of focus! All these features are enabled due to the optics of these binoculars. One of the best feature of this product when it comes to optics is that these binoculars possess a larger objective lens diameter. Due to this reason, this product allows you to have extremely high magnification levels of up to 10x, enabling the best in class levels of clarity and brightness to you. So if you are looking for such a disruptive binocular product to take down your best hunt, Bushnell Trophy Xtreme binoculars are the answer! One of the best features which I personally like about this product is the unique design these binoculars have. Unlike other binoculars available in the market, which even though have a lot of features and applications different from each other, yet they appear to be almost similar in design. However, those models fail to cater to the satisfaction of customers in terms of product design even when they impress them with their features. Nikon’s Aculon binoculars are one such product which holds the extra edge in impressing its buyers with both its design as well as its features and functionalities. Manufactured by Nikon so as to give the product a sleek design, one of the major reasons why you should buy these binoculars is the optical specifications offered by the product. Encased in a diminutive and compact optical frame structure, these binoculars have a relatively smaller objective lens diameter of 25 mm only, which allows the users to easily observe the details of our nature with more than expected clarity levels. 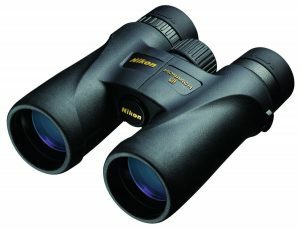 With such a small objective lens in combination with the legendary optical specs of these binoculars, the Nikon Aculon binoculars make up for one of the most versatile choices available in the market, for applications such as hunting, bird watching, watching sports and games, and the list goes on! Talking a little bit more about the optics of these binoculars, the lenses installed as part of these binoculars consist of multiple layers of anti-reflection materials on all of the optics deployed as part of the product. This helps the users in easily achieving excellent brightness and high-resolution levels in comparison to any other binoculars. Not only this, these binoculars even assures you extremely durable and rugged mechanical strength, which enables you to use them in different types of environments and atmospheric conditions. Hence, the highly professional optics fused together with the distinguished design makes Nikon Aculon binoculars one of the best binoculars for hunting and other applications! Another distinct feature of these binoculars is the exclusive magnification levels enabled by them while in use. A single pair of binoculars allows you to zoom to as low as 8x, and as high as 24x, which is almost three times the minimum magnification level! Now, this is something which is not available in any of the binocular products present either in the market or on the internet present day. Depending upon how much magnification level you want to observe your target at, one can easily adjust the magnification level easily by means of a zoom in and zoom out control knob located at the top of the binoculars. With this feature, the magnification can be controlled simply by the push of your finger! Due to this feature, you can experience high levels of brightness and clarity while hunting down your target. Therefore, with so many features offered by these binoculars, you can surely feel all smiles once you purchase this product. Our next product on the list is the Bushnell Elite 10×42 mm binoculars. If you are someone who gives a lot of attention to the specifications and minute features of the binoculars, then these binoculars by Bushnell could be your best bet. Quoting the reviews given by manufacturers, Bushnell Elite binoculars are one of the best binoculars they have ever manufactured till date and is the symbol of best of the class optical performance parameters. With such a product, which holds in itself more than 65 years’ worth of experience, they are certainly bound to offer you a visual treat while on outdoor adventures. Talking about the features and strengths of the product in detail, let us first begin with the mechanical strength of these binoculars. The Bushnell Elite binoculars guarantee you to remain cent percent protected against water, fog, and other environmental conditions. The reason why this is possible is that the binoculars comprise of a magnesium chassis, which further includes all the optics installed as part of the product. Having a magnesium chassis assures you a lot of factors related to the mechanical strength of these binoculars, such as being light in weight, good mechanical impact factor, and resistance to extreme environmental and atmospheric conditions. Therefore, these binoculars by Bushnell make up for one of the best binoculars for hunting, with a rugged and durable outer body to survive with you on hunting adventures! Not only this, in order to deliver you extreme clarity in vision while on hunting, Bushnell deploys its very own patented Rain Guard high definition coating on the optics of these binoculars. This features helps in eliminating fogging within the binoculars, boosts the overall brightness, and reduces moisture even faster than the original rain guard mechanism. This makes Bushnell Elite binoculars one of the best hunting binoculars! Another thing, due to which these binoculars are one of the best hunting binoculars is the optical specifications of the product. By means of an advanced fusion hybrid lens system, these binoculars assure to give you a bright and clear view, that too in high definition resolution. The optics of these binoculars by Bushnell are completely coated with multiple layers of anti-dispersion mechanism, due to which the overall brightness of the vision improves along with the level of accuracy, precision, and clarity. The manufacturer even boasts of incorporating a featured technology, namely the XTR technology, in the binoculars. With this technology, these binoculars assure to deliver to you 99.7 percent transmission of light per lens. The result is a bright, clear and HD vision, allowing you to hunt down your target with much ease and accuracy! The use of anti-dispersion prime glasses adds to the overall quality of the product. All in all, these binoculars represent the zenith of optical performance achieved in regard to binoculars till present day. This enables an unbelievable view while hunting. Apart from hunting-related applications, these binoculars are also ideal for use while sitting in a concert or an opera theatre, or while watching any game from the audience, like football or golf! 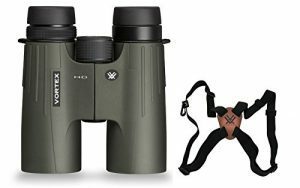 Delivering its customers best in the town quality, and that too at the price of any ordinary product has always been one of the major reasons behind the highly efficient and good quality binoculars by Vortex optics. This thing comes true even for the Viper HD (High Density) series by Vortex as well. One of the factors due to which Vortex optics boasts of delivering you so many features at a marginal price is the optical mechanism installed in Viper HD binoculars. With high-density extra-low dispersion optics deployed in the binoculars, the product even entitles you to the benefits offered by XRT technology. The result is extreme levels of edge to edge clarity and support for low light vision. Not only this, the objective lens of 42 mm diameter enables a much larger field of view in comparison to any other binoculars present in the market these days. With such optics in your hand, you are bound to get a pleasant view of nature’s scenery. 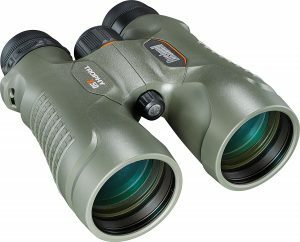 Talking about the mechanical factors responsible for providing these binoculars its required strength to survive in extreme conditions, the Vortex Viper binoculars are one of the most lightweight, compact and full-sized binoculars present on both the internet as well as in the markets present day. While using them for hunting down your targets, these binoculars ensure you a clear view with far better levels of accuracy and precision than its fellow rival products. This feature is enabled by the GlassPak Chest Harness, allowing an eye comforting, easy to carry and comfortable binoculars to stay protected from rugged conditions, whether it be any jungle or the mountain weather. All in all, the rugged construction in combination with the premium quality optical mechanism provided together through these binoculars assure you to provide all the young and old enthusiasts for shooting, hunting and outdoor adventuring a view of your lifetime, and the many other benefits provided by the Vortex Optics Viper HD binoculars product. While the multi-layered prism coating allows you to have bright, clear and accurate views, the O-ring seals help in preventing the building up and collecting of moisture, dust, and debris within the binoculars. While easily adjustable eyecups allow you to control the setting so as to maximize the comfort in observing the nature, the ultra-hard and scratch resistant outer glasses prevent any sort of damage in the path of a wonderful view through these binoculars. They are a must to buy! If you choose any of the three products that we have reviewed above, we are sure that you will love it. 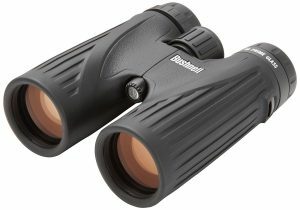 From our experience of testing tens of hundreds of these binoculars, the three that were selected were one of the best that we have seen and they are worth the price that they are priced at, if not more. Whether you are in need of binoculars for birdwatching, hunting, or even watching a professional baseball game from the back of the stadium, you’ll need some decent binoculars with you and the ones that we have reviewed above are a perfect fit. Your phone may have a decent zoom feature, but the zoom that you will be able to experience with a binocular will let you see anything that is far away, especially if you get the better ones with x8 or even x10 zoom ability. Treat yourself to a better view and pick up a pair of binoculars today and see why everyone else make them a staple in their traveling bag!